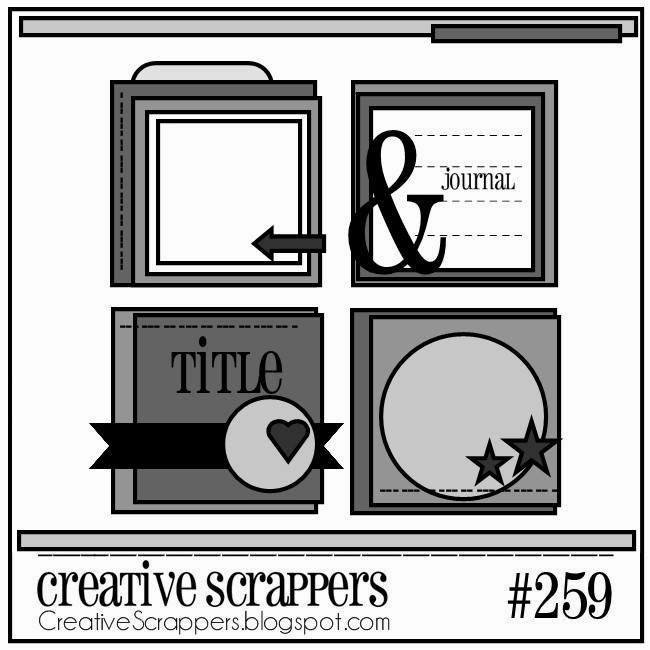 If you're an occasional scrapper like me, and have limited scrappy time... then you will love these sketchbooks published by Kristine Davidson of Creative Scrappers!!! They are wonderful to help kickstart your mojo when you find yourself pushing paper around your desk (as I often am these days!). She has just released Volume 3 and I'm over the moon excited! I was asked to create a layout for the publication based on one of the awesome sketches, and I chose to scrap a funny photo of Ralphie with some Studio Calico/Sassafras goodies. 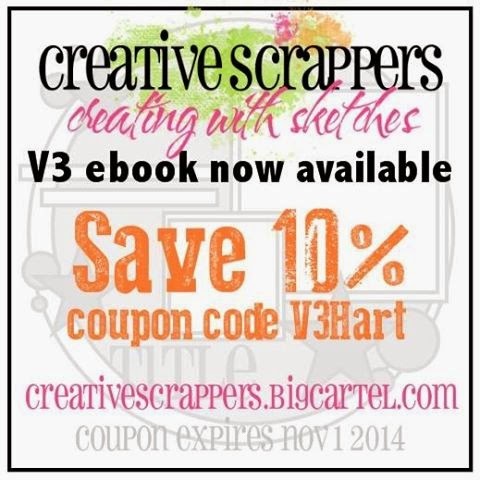 You can download a digital copy of the sketchbook HERE, and see below for a discount code! I prefer to have both paper AND digital, and there are still some sketchbooks available to order HERE. And if these sketchbooks are new to you, check out the Digital copies of V1&2! 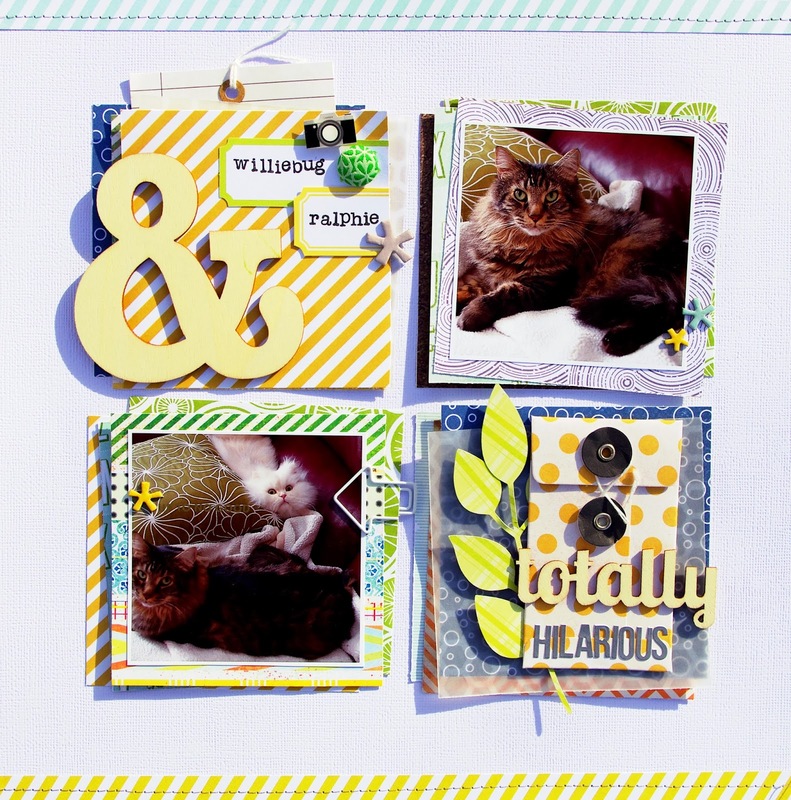 Here's an update on the Scrapbook Projects I've been working on over the last few months. I've been going through a creative block or shift lately, and haven't been as motivated to work on anything. I dig out my Studio Calico kits and just shuffle paper around my desk... I'm tired of my layered rectangles! I wanted to try something a bit different with this layout, so I grabbed a piece of white card stock and cut out the six circles with my Silhouette Cameo. I used this as a stencil to create my circles using the Hero Arts Daubers (Love these!). It still looked a bit plain, so I dug out my watercolors and got my fingers messy. At first, I wasn't keen on the results and almost threw it in the trash. However, I decided to wait until it dried before getting rid of it and I'm so happy I did! When it was wet it looked so gross and muddy. I loved it once it dried! This layout was tons of fun as it includes: Letterpress (the Ampersand), hand cut star and triangles, watercolors, ink daubers, stencils and white mist, individual letter stamps and lots and lots of messy stitching!!! Thanks for stopping by, don't forget to check out the Creative Scrappers Blog for the DT reveal and your chance to win a great prize from this month's sponsor! This boy and his cat crack me up... they are like two peas in a pod! Lucky has the perfect personality for a rambunctious fella like Rohan! Rohan has very good cat manners; he is very gentle with Lucky and doesn't tease or annoy him intentionally. All he wants is a snuggle, and even then he doesn't push too much. However, he is still only 6 after all, and little boys can play LOUD! When Lucky has had enough, he just goes upstairs to his quiet place to recharge. This paper and embellies were all part of a past Studio Calico kit... and I have to admit, I love the concept, but I really struggled with this beautiful graphic design paper. Sometimes I think I'm just in a scrapbook rut, in that when something is outside of my wheelhouse I can't figure out which direction to take. Sure, I got the layout done... but I feel like I haven't "wowed" myself in a long time. You know that feeling when you are finished a layout and you can't wait to show someone else because you are just so thrilled with it?! Yeah, I haven't really had that lately. I'm sure it will pass... I probably just need to find more time in my Scrapbook space and work out those creative blocks. I've been collecting Blythe dolls this past year, and one of the trendy items to outfit your doll with are these beautiful critter hats by Sweet Days. When Ingrid posted this pink cat hat I just had to have it! It was just by chance that one day when I was sorting through my Blythe hats, and poor Ralphie was sleeping on my desk, that I noticed the hat would probably fit him. Well, it's safe to say that Blythe doll heads are about the same size as a Persian Cat's head! haha! 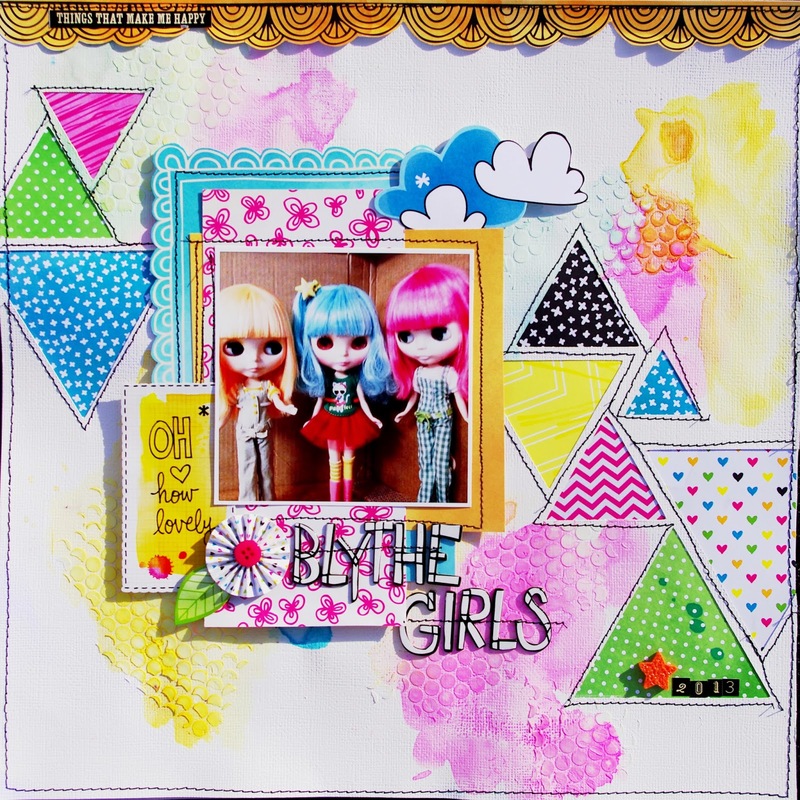 Thanks for stopping by my blog, and be sure to visit the Creative Scrappers Blog to link up your take on this week's sketch for a chance to win a prize from this month's sponsor Scraptastic Kit Club! Also, CS is having a DT Call so while you're linking up your layouts on the blog, why not apply to be a part of this wonderful team! 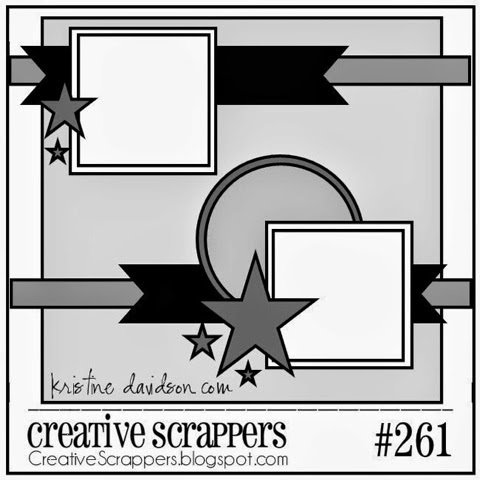 Creative Scrappers is celebrating 6 years of Creating with Sketches and we’re so excited to share 12 new sketches for you today and some inspiring layouts as well. We’ll be giving away a few prizes so be sure to play along and check back on Saturday night April 26th to see if you’re the lucky winner! 3. Help Spread the news! And here is the project that I created with photos of my sister's Birthday last year! I loved working with this sketch because of all the mix of patterned papers I had to use. The different layers and stitching really helped me get the texture I was in the mood to create. 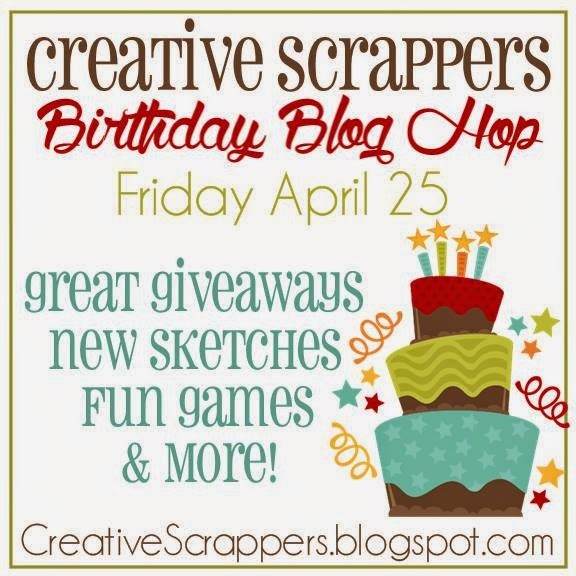 Please join us in celebrating this wonderful milestone for Create Scrappers!!! Thank you for playing along today and helping us celebrate 6 years of awesome sketches and layouts! Check in Sunday with us for more layouts using Sketch 267. Please visit Tara's Blog to continue the Blog Hop! LCOM's Monthly Color Spot Challenge! 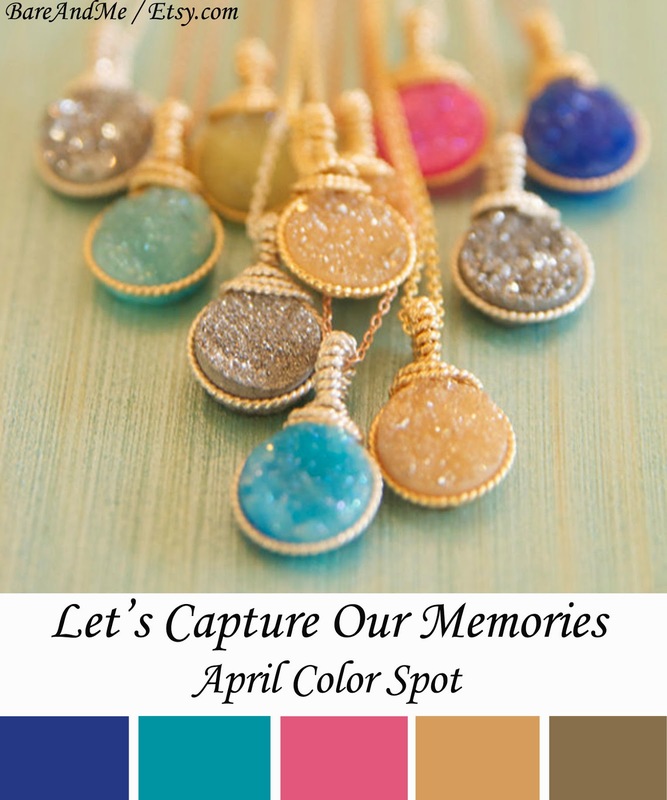 I was thrilled when Isabelle from Let's Capture Our Memories contacted me to participate in their monthly Color Spot Challenge! I loved the inspiration board and digging through my Maggie Holmes collection seemed like a perfect fit! Here is my layout of our Ralphie! I can't get enough of those crazy ears! Here is the lovely Inspiration board! Be sure to check out the LCOM shop, they have added lots of new Winter CHA goodies lately! 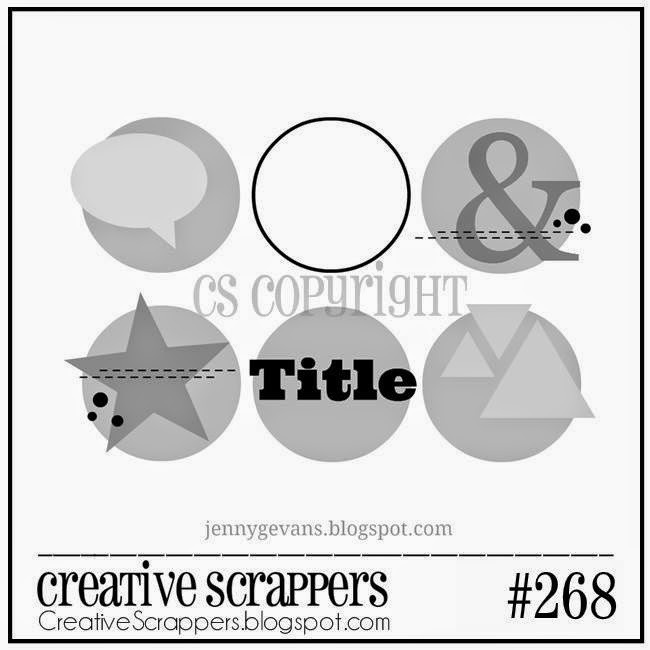 I just love this latest Creative Scrappers sketch! It was the perfect way for me to document our first week with Athena, and I added a couple of extra photos in there just to capture it all. I dug out one of my older Studio Calico kits and just loved playing with the sketch design and moving my embellishments around the layout. 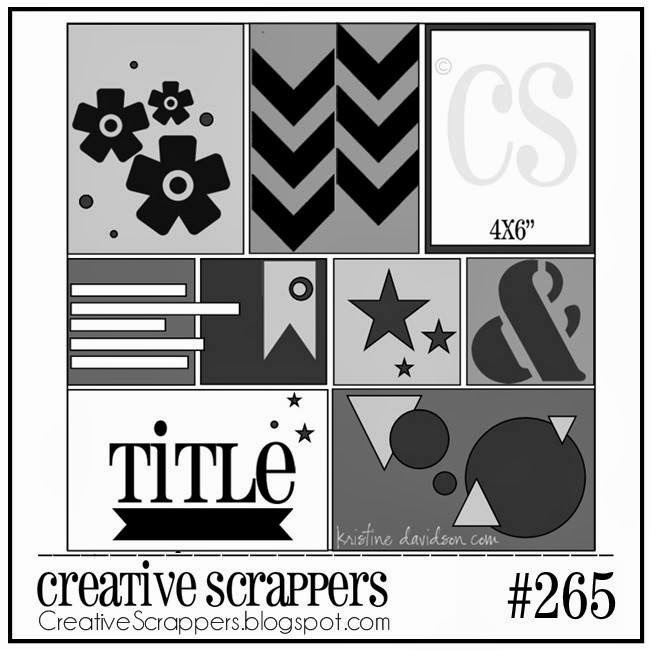 Be sure to stop by the Creative Scrappers blog to see the full DT reveal and submit your take on Sketch 265 for your chance to win a prize from our monthly Sponsor Chic Tags! 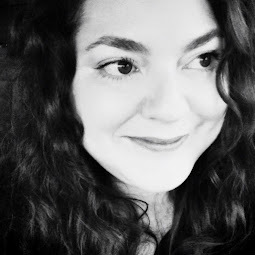 If you have visited my blog before (Thanks you!!) 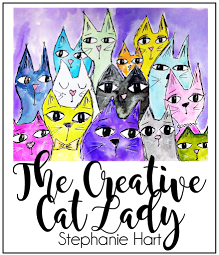 then you have probably caught on that I am a cat lover. 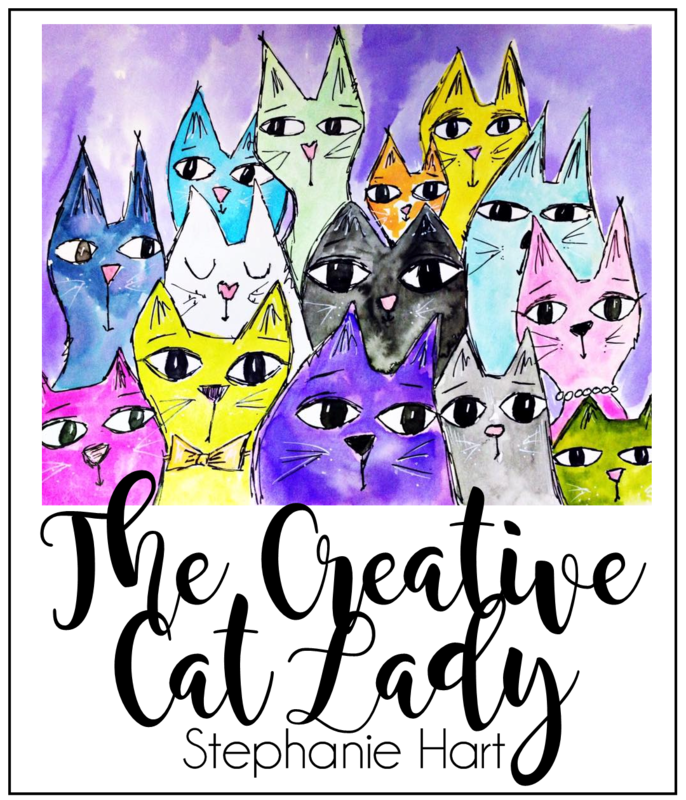 Self titled Crazy Cat Lady, and I wouldn't live my life any other way. The opportunity to adopt this beautiful girl presented itself almost a month ago and we couldn't resist. She was described as a sassy, affectionate and cuddly 8 year old, retired Silver Persian Queen. A lap cat. It was the last sentence that prompted Dave to immediately suggest we offer her a home. You see, I had two lap cats who passed away late 2012 (Gabe 12) and early 2013 (Bronte 16).... and my lap has been empty every since. I drove the 8hrs to New Brunswick and back to pick her up, and immediately fell in love. I think she *may* have felt the same way about me, because when I transferred her from the travel carrier to my carrier she just got up and walked in. She is lovely, sweet and a bit sassy... she meows like Chewbaca when she wants me to scratch her head. It is adorable. 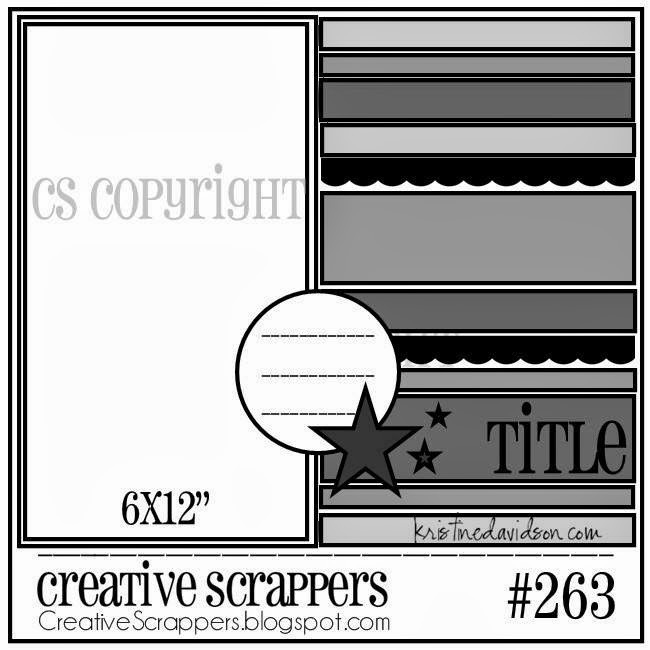 Here is the latest Creative Scrappers sketch! This was so much fun, I loved working with this sketch! I dug out some lovely Fancy Pants papers and embellies, and I'm just loving the new direction that they are taking with their designs! Back in 2008 when I first began scrapbooking, I was ALL about Fancy Pants. I couldn't get enough of their products. Then I'm not certain what happened, if they changed, or I changed... but there were many other companies that were vying for my attention and their designs just didn't speak to me. That is until now. I love their products! The designs are much cleaner, and trendy... and I've enjoyed their last few collections in 2013 and just recently their CHA 2014 collections. 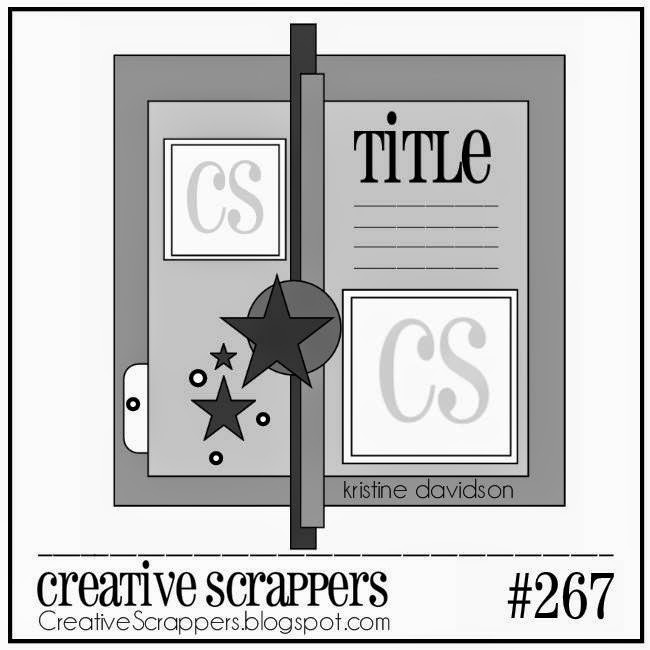 Be sure to stop by the Creative Scrappers blog to see the full DT reveal and submit your take on Sketch 264 for your chance to win a prize from our monthly Sponsor Chic Tags! 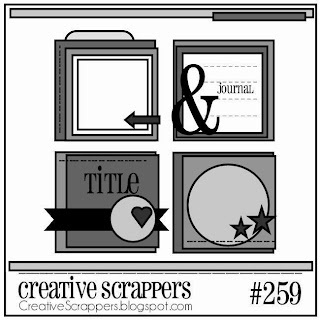 Here is another lovely Creative Scrappers sketch to share with you today! I struggled with it at first because of the size of the photo area being 6x12... my printer only prints 8½ x 11 so I sat at my desk scratching my head for a bit to figure out how to make it work. After I reminded myself that the sketch is an inspiration starting point, I was fine! I found this iPhone pic of Roxy when she was a kitten and printed it a bit larger than 5x7 and matted it out so it would cover that space a bit better. Here is my take on the sketch, hope you enjoy it! 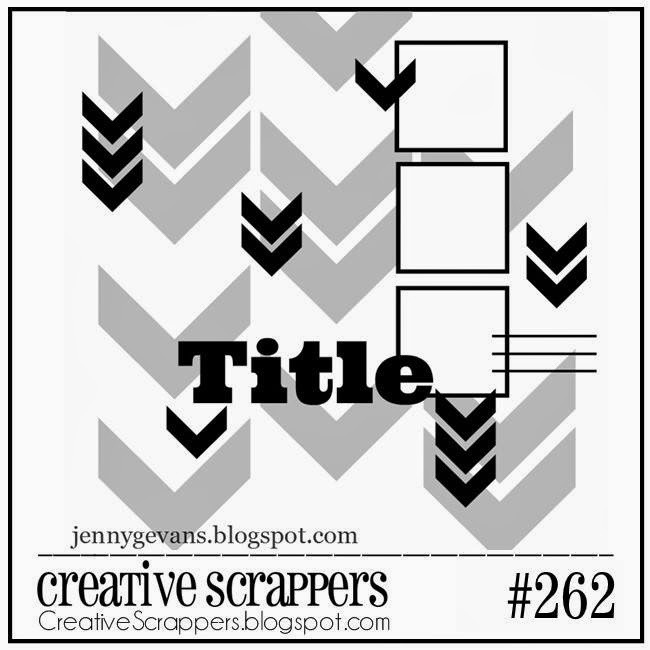 Be sure to stop by the Creative Scrappers blog to see the full DT reveal and submit your take on Sketch 263 for your chance to win a prize from our monthly Sponsor Chic Tags! 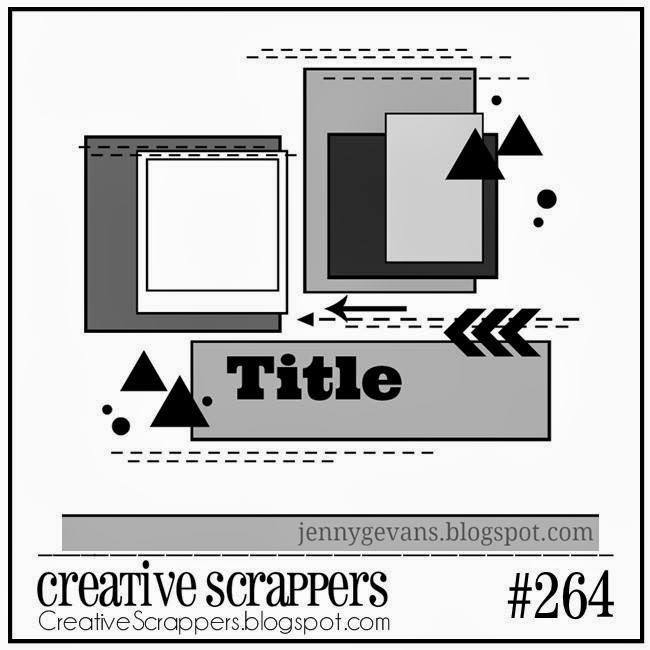 Here is the latest sketch from Creative Scrappers.... and again, the sketch designer has pushed me out of my safe place and had me create something I wouldn't have thought of doing. I just love that about these sketches! Not only are they great jump starts when you are having a scrappy block, but they help develop your creative muscle as well! Thanks for stopping by, and be sure to check out the Creative Scrappers Blog for your chance to win a prize from this month's sponsor! 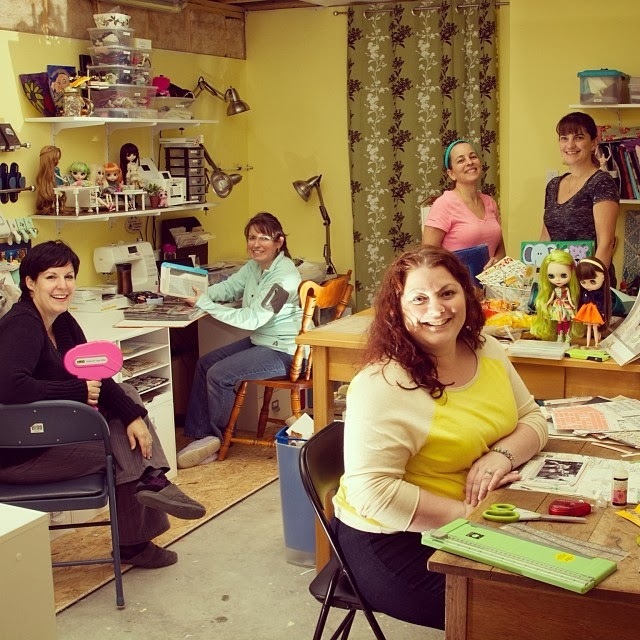 My lovely friend Mercy Tiara invited me to her house for her annual "Scrapaganza" all day scrapbooking event! Basically, she has a few scrappy friends over for an all day session (9am-until we drop) and I was thrilled to accept! It was lovely meeting new scrappy friends, and spending time with others who enjoy this hobby as much as I do. I haven't been to a crop in some time, so I was really looking forward to it. Here are some of the layouts I completed during the day, I almost killed an entire SC Kit + Add on! 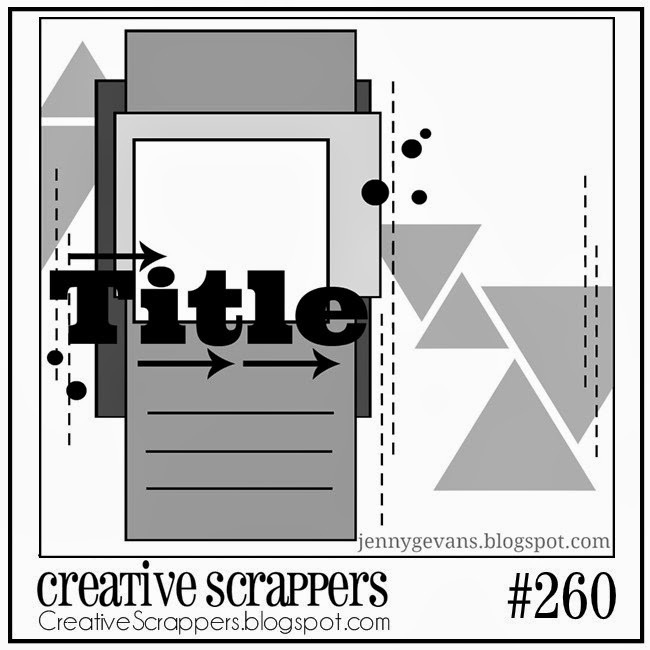 It's that time again for another Creative Scrappers Sketch! I really like this one, as it had two photo spots on the layout (I'm usually a one photo layout girl). 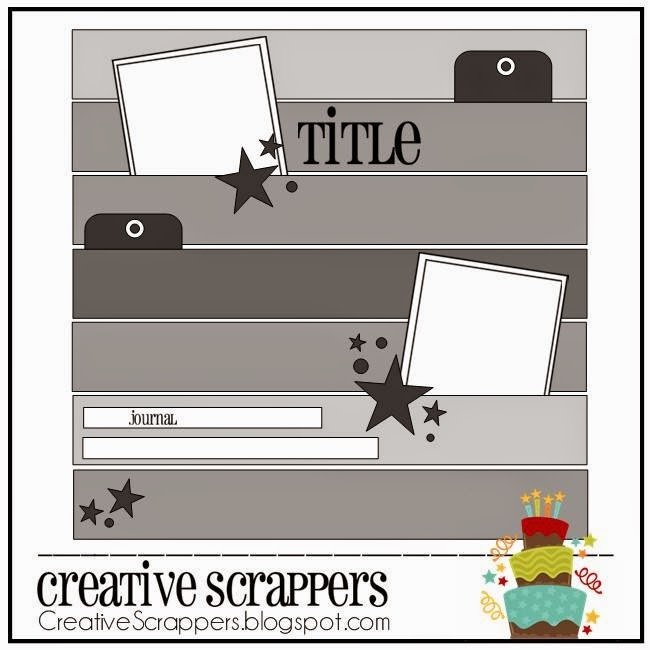 Thanks for stopping by, and be sure to check out the fill DT Reveal on the Creative Scrappers blog! Add you take on the sketch in the comments section for a chance to win a prize pack from PaperCamelia!